It is the dream of every parent to make sure their child gets the possible best of their education. Almost all who can afford it wants the finest tutors for their children. There are so many secondary schools in the city of Lagos, Nigeria. But therein, lies a problem – How do we identify the best secondary school in Lagos in the midst of so plenty? Before we get to that, a really important question to answer is, why is the secondary school stage so crucial to a child’s development? Well, the secondary school is one of the first places where your child learns to properly build their social skills. Children also attain the stage of puberty while in secondary school so their transition from childhood to adulthood almost always begins while they are in secondary school. Apart from the guidance and influence that parents can, of course, give in this period to their young ones, the external influence such as the calibre of teachers or councilors can also play a major part in guiding the child and laying a solid foundation in their transition to adulthood. Learning goes beyond just classroom work and exercises, extracurricular activities are also a way of teaching children different life values. This is also an aspect where a consideration of the choice of school for your child should come into play. This takes us back to our very first question. With the multitude of schools we have in Lagos, Nigeria, how can you as a parent make a proper decision as regards your child’s secondary school education? This article gives you in our own opinion the top secondary schools in Lagos in no particular order that can be found in the city of Lagos. This school was established in the year 1985 and they take pride in themselves as being members of the International School Curriculum Project (ISCP). The school has adequate facilities, hardworking staff, and a beautiful environment. All these speaks of a school with a high pedigree. The school is open to both boys and girls. Address: 3 Catholic Mission Street, Lagos Island, Lagos. This school was established as far back as 1909, and they exclusively admit boys. The school is complete with teaching and non-teaching staffs, a boarding facility, sporting facility and adequate security. Address: 1 Landbridge Avenue, Oniru Private Estate, P.O. Box 75133, Victoria Island, Lagos, Nigeria. The British International School was founded in the year 2001 and admits both boys and girls. 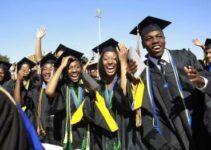 Students of different nationalities can be found in the school and it is regarded as one of the elite schools in Lagos. They operate a British style curriculum to students between the ages of 11 – 18. They have boarding facilities, and they never exceed 20 students in a class. They prepare students for IGCSE and A Level courses in CIE. The American International School in Lagos offers a curriculum based on the American educational program and is open to children of all nationalities. Their classes run from preschool down to the 12th grade. It is an IBO world school with fees paid strictly in dollars. This school was founded in the year 1972, its owned by the government and is the sister school of Kings College Lagos. The school also has boarding facilities and adequate security with well-qualified teaching and non-teaching staffs. The Lekki British School is among the top secondary schools in Lagos, a school that bases its curriculum is based on the British system of education. The school provides an atmosphere such that your child would receive a proper traditional British upbringing and culture. The school has affiliations with the Council of British International Schools (COBIS) and is stretched across a 25-acre campus in the Lekki area of Lagos. The school was founded in the year 2000. St Gregory’s College is a boys’ only school and was established in the year 1928 as a Catholic school. Training excellent future leaders that can excel in all aspects of life has been one of the major goals of the school. The late Sir Funsho Williams a well known Lagos politician graduated from this school. Chrisland school is located in the Ikeja suburb of Lagos. They offer high-quality education and also the best performing male and female students are usually awarded scholarships. It is a school that you would love for your ward to attend. They also have branches in Idimu, VGC, Lekki, and Abuja. Address: No. 2 Ojo Street, Ikoyi south-west, Lagos Nigeria. This is a Catholic girls only school and is the sister school of St Gregory’s College Lagos. It was built by the Society for the Holy Child Jesus and was founded in the year 1945. Located in the Ikoyi area of Lagos, the school has wonderful facilities and a beautiful scenery that makes up a great environment for learning. Lagoon school is girls only privately owned school founded in 1995 and located in Lekki, Lagos Nigeria with a population of about 60 staffs and 500 students. The school is among the best secondary schools in Lagos and aims to provide a well-rounded education covering different aspects of life such as cultural, spiritual, academics, morals, and brain development. Their sporting, laboratory, and classroom facilities are top notch. 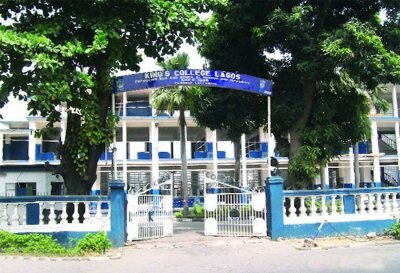 Dowen college is a very popular private school in Lagos Nigeria. They admit both male and female students between the ages of 10 – 18 years. Dowen College has well-qualified staff and standard facilities to set your ward in the right path. The corona group of schools was established in the year 1955 starting with elementary education but with time, they have grown to include a secondary school and even a college of education. 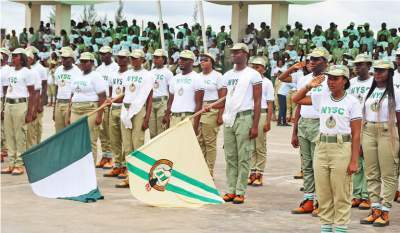 Their curriculum is quite unique as they offer a fine blend of Nigerian, American and British style system of education. Established in the year 2000, Whitesands School is regarded as one the best boys-only school in Lagos. Their classrooms are fully air-conditioned, their laboratories for Physics, Chemistry and Biology are well furnished and of a very high standard. They also have a music studio, a fine art studio and also audiovisual teaching aids. The International School Lagos is located in the University of Lagos and was established in the year 1981. The school has good facilities and students have an unlimited access to them including the gym facilities at the University of Lagos. The school admits both boys and girls. Atlantic Hall School is one of the best secondary schools in Lagos, located in Epe Lagos State and they admit both boys and girls. They currently have a population of about 600 students. They have great facilities which include hostels, specialist rooms, and classrooms. A major highlight is their sporting facilities such as 2 basketball courts, a standard swimming pool, and a handball court. The campus is also fully secured. Established in 1993, Ronik Comprehensive School is a first-class school that admits both boys and girls. The school has boarding facilities and has a team of dedicated academic and non-academic staff to ensure a smooth running. One thing that sets this school apart is their focus on skill development. Their security services are also great. Address: Lagos-Epe Express Way, By the Fourth Roundabout, Elegushi Beach Road. Meadow Hall School was established in 2003 and is located in the Lekki axis of Lagos. They offer a combined curriculum of both the British and Nigerian style of education. Their facilities which make the process of learning seamless include, a transport system, sickbay, functional library, boarding facility, ICT lab and state of the art science laboratories. Address: Plot 5 Billingsway, Chief T.A. Doherty Industrial Layout, Oregun, Ikeja, Lagos, Nigeria. Established in the year 1991, the Vivian Fowler College is a girls-only school located at Ikeja and is regarded as one of the most highly placed school in Nigeria and even Africa at large. This is due to the sustainable pedigree they have built over the years. The Day Waterman College is undoubtedly one of the best schools around Lagos and they have a superb guidance principle that sure will lead your ward to heights of success. They offer a British curriculum. It is located in the town of Abeokuta which is just about 1km drive from Lagos making it a school of choice among parents in Lagos. The school currently have a population of about 500 students. They have boarding facilities, a resource center, a basketball court, a football pitch, a computer room, a swimming pool and a multipurpose hall. Grange School was established in the year 1958, but the secondary school came into existence in the year 1998. They offer the British Curriculum mainly because the school was founded by British expatriates. The school is a private school and you have to go through an interview process for selection. Only three schools in Nigeria are accredited by the Uk’s Independent Association of Preparatory Schools. (IAPS) and Grange School is one of them. The current Patron of Grange School is the Deputy British High Commissioner to Nigeria. The period of secondary schooling is a very important one in the life of your child. It’s our honest hope that this article is able to guide you in making this all too important choice. It is the dream of every parent to make sure their child gets the possible best of their education. Almost all who can afford it wants the finest tutors for their children. There are so many secondary schools in the city of Lagos, Nigeria. But therein, lies a problem - How do we identify the best secondary school in Lagos in the midst of so plenty? Before we get to that, a really important question to answer is, why is the secondary school stage so crucial to a child's development?